SHOP FOR EXHAUST SYSTEMS NOW! 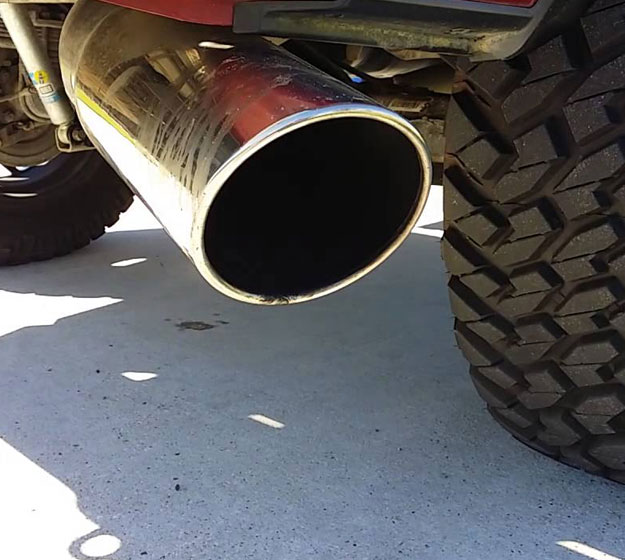 Your truck exhaust system makes up to a quarter of your engine's cycle and its importance in the overall performance of your truck cannot be overlooked. If you are a truck enthusiast, you probably appreciate the excitement that comes from a roaring custom exhaust. But for those who thirst for more power in their rigs, performance exhaust systems are the way to go. These are built especially for more power, and therefore, more thrills. Stock exhausts always leave unharnessed power in your engine. A well-designed performance exhaust system can unleash the latent power in your machine, but if things are not well-done, you may end up doing your truck a disservice. 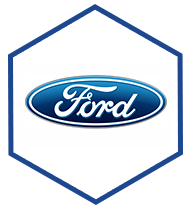 might otherwise affect the working of your engine. But, performance exhaust systems are built to do a little more than just that. So how does the truck exhaust system work, and how do performance exhaust systems unleash your engine's hidden potential? When the exhaust gasses exit the cylinders after the exhaust stroke, they are channelled into the Manifold. 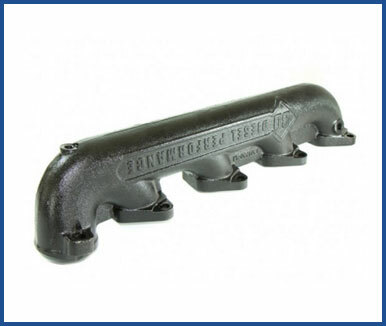 In stock exhausts, the Manifold is usually made of heavy cast iron. The material doesn't tend to crack under heat if it has a good nickel content and also enables the exhaust gases to retain more heat. Whatever the material, stock manifolds are usually designed economically to occupy the least space, use the least material, and ultimately cost less. But these stingy measures also mean your engine is deprived of its peak performance. 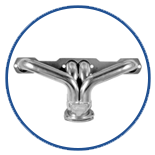 For absolute all out maximum power, an high flow silicon ductile steel exaust manifold should grace your truck. 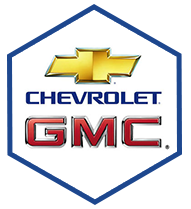 The main determinant of an exhaust's performance is the velocity at which the air flows through the system. There are three main factors that affect the velocity of exhaust gasses- the diameter of the tubes, the given RPM, and the length of the tubes. These three should all be in fine agreement for the custom exhaust to perform at an optimum level. This is where amateur manufacturers drop behind and experts shine. 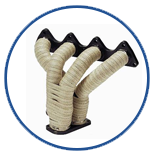 Performance exhaust Manifold are built with larger diameter pipes to enhance air flow. 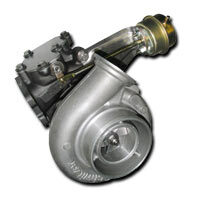 This reduces resistance and enables the engine to run without expending more power on expelling the exhaust gases. However, choosing the right Manifold is much easier said than done. It takes an experienced engineer's intimate understanding of the truck engine in question to achieve the perfect result. 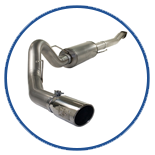 The aftermarket exhaust system should perfectly match your engine's tuning. This is because if the Manifold is too small, the engine will have to work harder to pump out the gases at high RPMs. 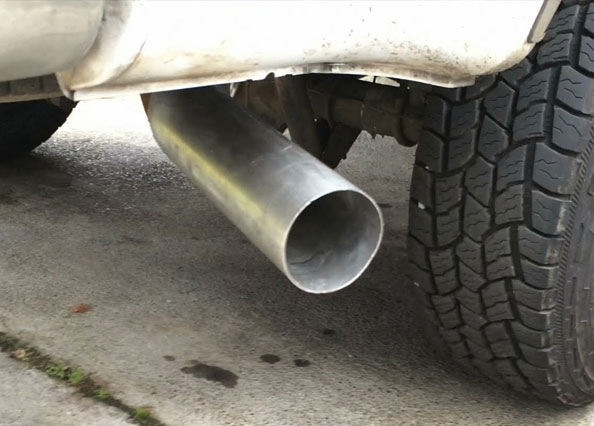 If it's too big for a given volume of exhaust gases, the exhaust system loses out on what's called scavenging. 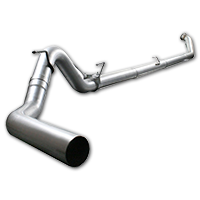 Aftermarket exhaust systems primarily work by using pipes with optimum diameter and length to allow free-flowing air but also enhance scavenging. During the exhaust stroke, the piston moves up, decreasing the cylinder's volume. 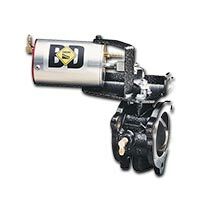 This forces exhaust gases out of the cylinder and into the manifold or header at a high pressure. The result is a fast moving exhaust pulse plus an energy wave. When the gases leave the engine, they need to flow through primary pipes of suitable diameter and length to build what is called 'back pressure'. Since the exhaust valve is repeatedly opening and closing, this back pressure, if well-tuned, will pull the next exhaust pulse out of the chamber, which lessens the burden on the engine. It is this process, where one exhaust pulse pulls the next, that is called the scavenging effect. In truck exhaust systems, the pulse of air pumped out but the piston leaves at a high speed and acts like any fast-moving object by leaving a section of low pressure just behind it. This low air pressure needs to be equalized and so it tends to pull in air. Since nothing can come from the front, the only source of air is behind when the outlet valve opens to let out the next exhaust pulse. Once the outlet valve is open, the low-pressure section from the previous pulse pulls the gases out to equalize its own pressure. 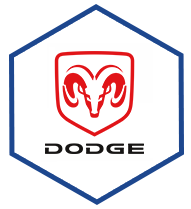 This goes on repeatedly and as a result, the engine preserves power during the exhaust stroke and ultimately, the truck's performance is enhanced. This can also serve to pull in the next mixture of fuel and air if the timings are well done. For this to work, the pipes have to be the right diameter and length. If they are too large, there won't be enough back pressure for an enhanced exhaust scavenging effect. Large diameter pipes will also cause the gases to expand since they are under heat, which further makes them lose their velocity. The muffler is one of the biggest parts of the exhaust system. Its purpose is noise reduction and refining but while the muffler is doing this, it should maintain minimal air resistance so as not to injure air flow. 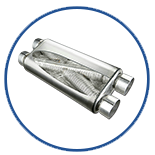 Inside the muffler are perforated tubes, baffles, chambers, and sound absorbing material. For cat back exhaust systems, the performance muffler is built to produce ultimate power and a deep tone to match, without building excess back pressure. The best modern performance exhaust manufacturers make installation as simple as possible. They can usually be fitted with no welding, and if your hands are good with simple spanners, this can be a simple DIY task lasting 30 minutes to 2 hours. Coming up with a good performance exhaust system is a task of precision or else the whole thing might mess up your truck’s performance. Here is a review of 4 of the best aftermarket exhaust manufacturers. One of the best in the aftermarket exhaust world is Advanced Engineering Flow. 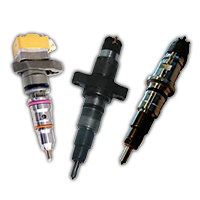 Their systems are built to perfectly fit each truck and the installation is a breeze, fitting directly onto factory fastening points. 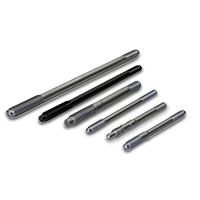 All AFE exhausts are made with mandrel-bent mild steel tubing to enhance free- air flow by up to 36%, which results in better horsepower and torque. If you are ready to fork out a little more cash, you can get one made with the corrosion-resistant, 409 stainless steel.. The performance muffler pumps out a well-tuned sound while adequately boosting power without much drone both on low and high revs. Take for example AFE's MACH Force XP Cat-Back Exhaust System for the which comes with a straight-designed, free-flowing stainless steel performance muffler which absorbs high pitch tones, leaving only a powerful sound while releasing all available horsepower and torque for your machine..
Magnaflow is another big name in the aftermarket exhaust game. They have three lines of exhausts depending on needs and budget. At the entry level are the Magnaflow Pro performance systems. They come with 100% stainless steel for the muffler, and mandrel bent stainless steel tubings with a single wall tip. 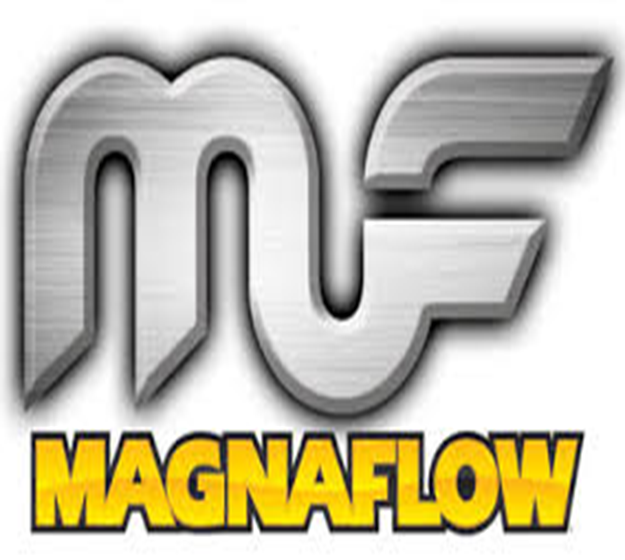 Magnaflow XL Performance is the mid-level performance exhaust system also built with stainless steel mufflers and stainless steel mandrel-bent tubing. However, this line comes with a double walled tip. If you want to take things pro, you can go for the premium line built with polished 100% stainless steel mufflers, and mandrel-bent stainless steel tubings which not only makes your truck roar but also gives it massive power gains. 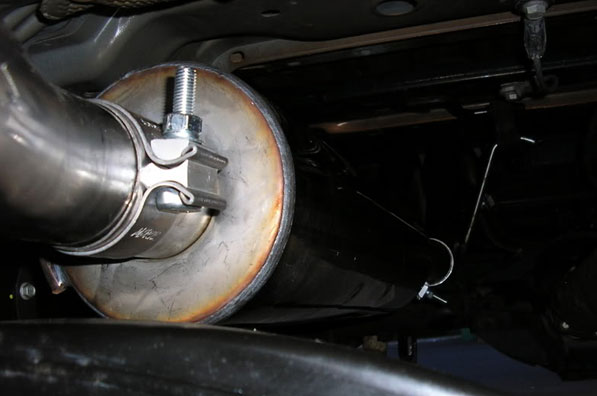 While its custom mufflers are built for roars and rumbles, Magnaflow exhaust systems are built with dense materials for the mufflers to absorb all the annoying harsh sounds to leave only pure music to your ears. 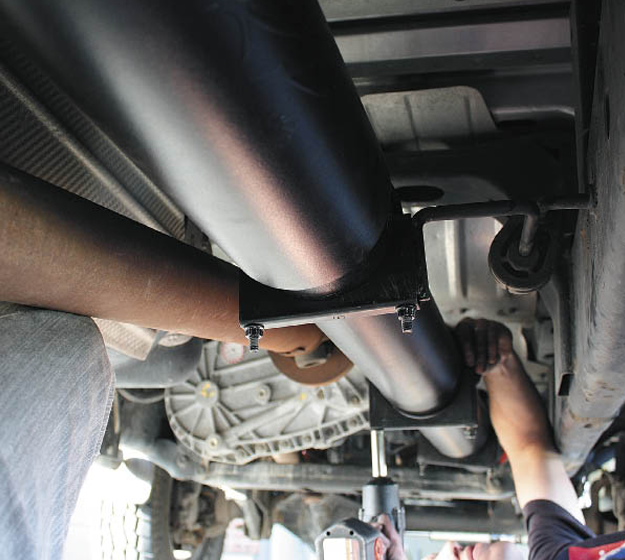 Apart from all the technical advantages you get, one good thing you instantly notice is how easy it is to install Magnaflow preface exhaust systems. You only need simple hand tools with no welding required. 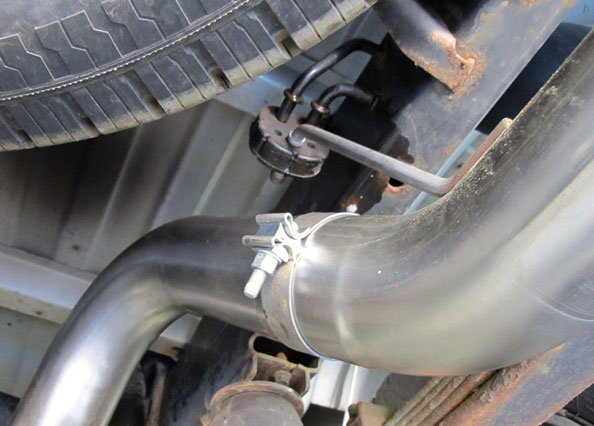 Most aftermarket exhaust systems suffer leaks after prolonged use. Magna goes an extra mile to ensure your system stays sealed by welding the joints with an ample 5-inch overlap. 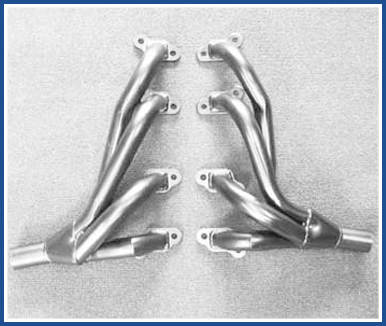 If your ride craves power, you might want to lay your hands on an MBRP cat back exhaust system. 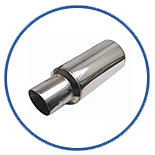 For a longer lasting product, MBRP uses three kinds of materials to build their exhausts. At the premium end of things is the T-304 stainless steel which has a high chromium and nickel content to make the most corrosion-resistant material in the industry. There is also the T-409 stainless steel composed of high-grade low carbon steel, which makes an excellent corrosion resistance material with exceptional strength. As a cheaper but equally impressive alternative, there is Aluminized steel which contains high-quality 16-guage steel with added aluminium to resist corrosion. Not only do you base your options on material type. 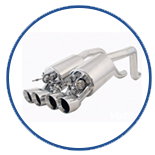 MBRP exhausts also come in 7 different performance options to suit your budget and power needs. 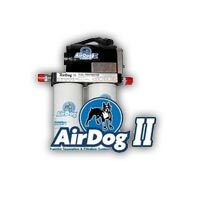 Their systems also come with bolt-on installation with no welding necessary. 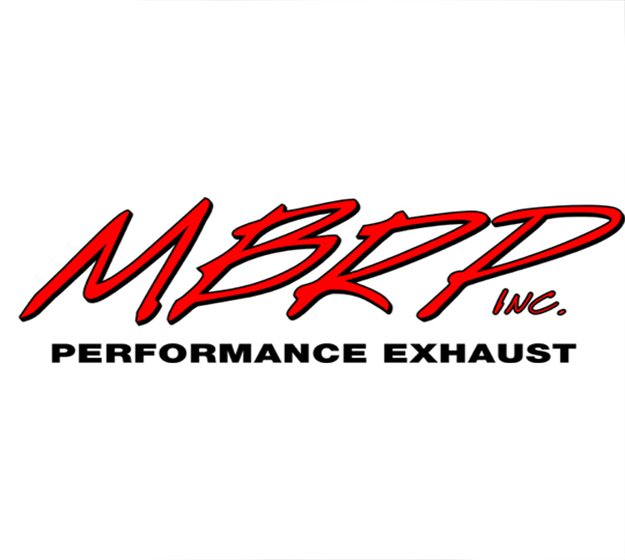 For both sound and performance, MBRP systems are built with efficient performance mufflers which pump out a respectable sound without any drone, thanks to its well-designed holes, baffles, and chambers. 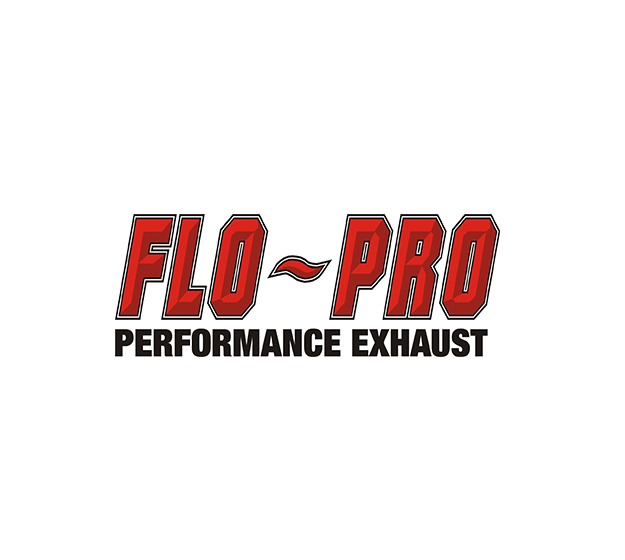 Another trustworthy name in aftermarket exhausts is Flo-pro. 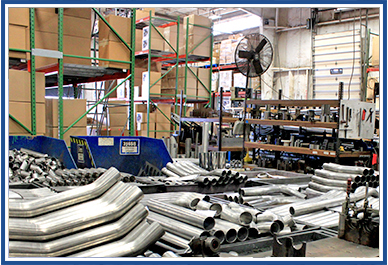 Flo-Pro custom exhausts are made from 16ga mandrel bent steel tubing for smooth turbulence-free air flow. 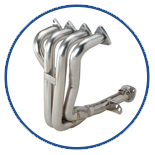 Depending on your budget, you can choose the cheaper aluminized type, or if you have a little more to part with, you can go for the better T409 Stainless Steel exhaust systems. For quick fool proof installation, Flo-Pro exhausts are built with bolt-on parts requiring only simple tools and no welding. 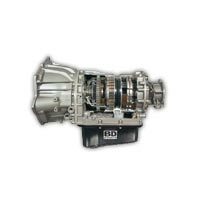 What’s more, their systems are purpose built for specific truck years and models, therefore, everything just falls into place. Flo-Pro performance mufflers offer a pleasant powerful sound, but most importantly, their design will not steal your truck's performance. To further understand aftermarket exhausts, here are the most widely used terms. The part which receives exhaust gasses from the cylinders. They serve the same purpose as manifolds but have a separate tube for each engine chamber. A method of thermal insulation where ceramic is applied on the inside of exhaust tubings to allow the exhaust gases to retain heat, and keep the exhaust system from heating up. The drawing of an exhaust pulse by the low-pressure tail of a preceding pulse. 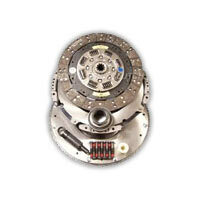 This ultimately reduces the work done by the engine to pump out exhaust gases and enhances power. Pipes bent using mandrel bending method, where a link of balls or steel rod is inserted into the tube being bent to avoid wrinkling. This maximises free air flow. The parts of an exhaust system after the catalytic converter from the catalytic pipe, muffler and tailpipe. 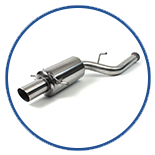 Exhaust systems made by independent manufacturers. 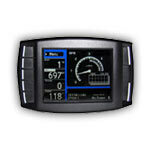 These are made to enhance either the sound or performance of your truck. The wrapping of exhaust parts especially the header with insulating synthetic fabric material to prevent heat from leaving the exhaust system. The result is reduced engine bay heat and a boost in performance. An aftermarket muffler with enhanced air flow and better tone. A good custom muffler ultimately boosts power.